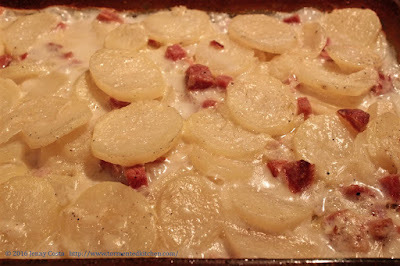 Comfort foods seem to be a no-brainer when the weather gets chilly, especially here in the mountains near Lake Tahoe. Soups, stews, casseroles, and the like come to mind. 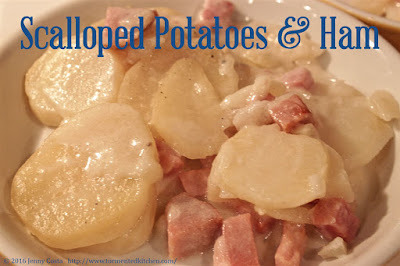 One of my favorite comfort foods is scalloped potatoes and ham. It's also seasonal for us since we only get a big ham a couple times a year, usually near a holiday, if not for a holiday meal. 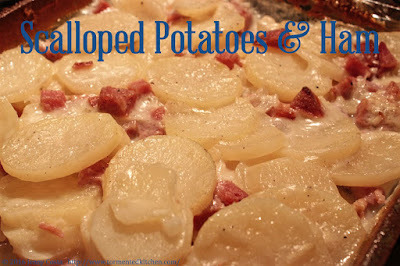 My dear hubby is also a fan of scalloped potatoes although his Italian grandmother makes hers a little bit differently. 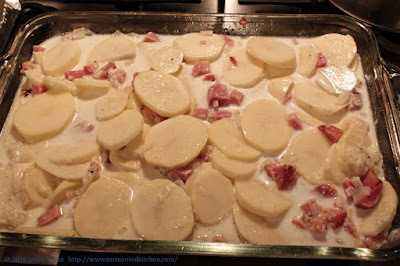 She puts whole pork chops on top of the potatoes instead of mixing in diced ham. Her way is pretty darn good too. One of the best reasons to make this is that it's easy to assemble. The second best reason is that it's kid-friendly. Any parent of a picky eater knows how foods tend to be white and full of potatoes. So, yes, this is guilty as charged! Although who's going to argue with you for making this? 1. Grease a 9" x 13" deep baking dish. 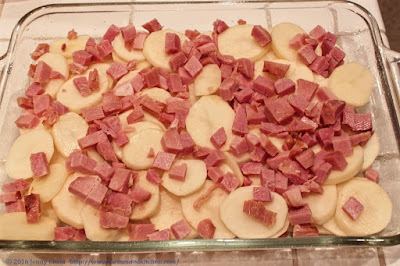 Add sliced potatoes and diced ham. 2. 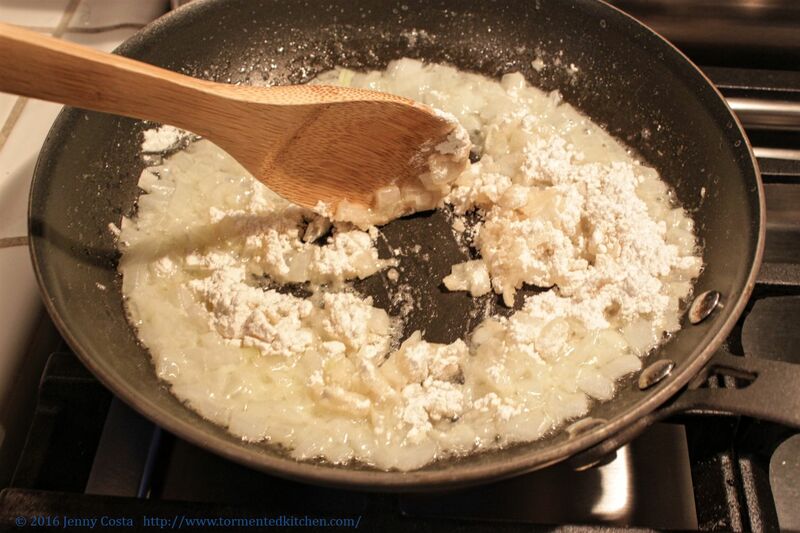 In a frying pan, saute the diced onion in the butter until softened. Add the flour and cook about 2 minutes to make your roux. Season to taste. Add all the milk, bring up to a boil, and stir well to break down any lumps. It's OK for the sauce to be thin. 3. 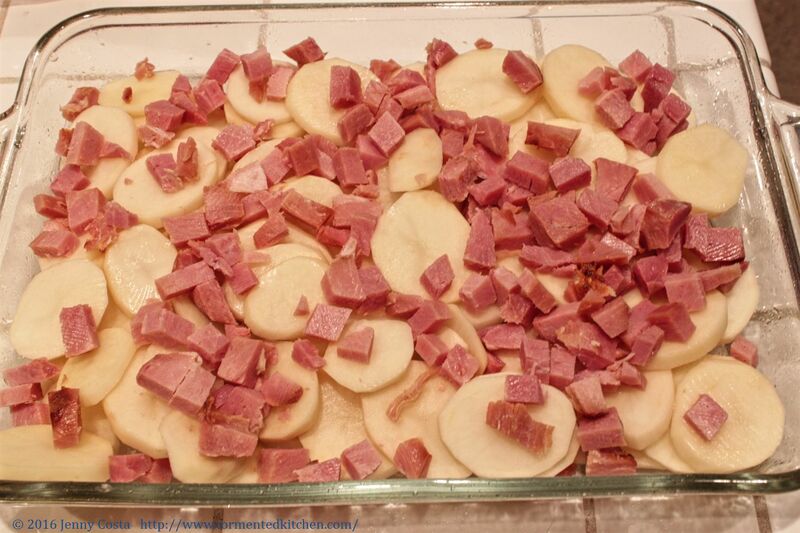 Pour sauce over the ham and potatoes. 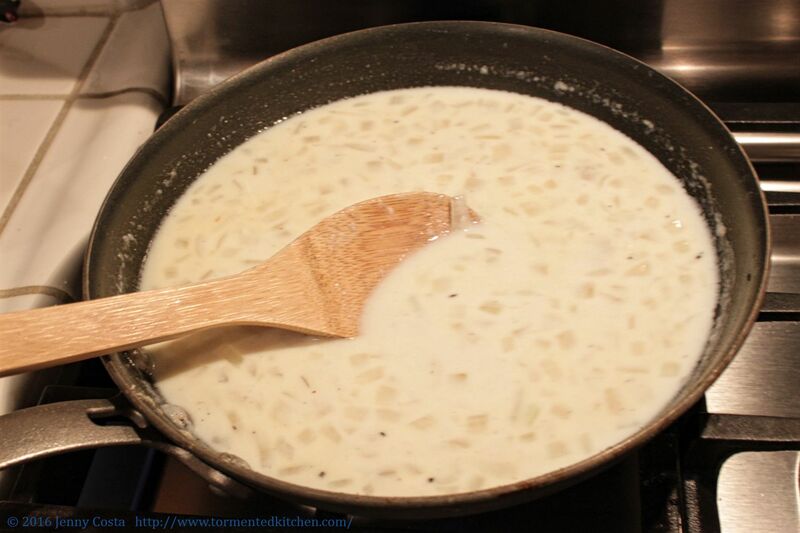 Stir it gently in the pan. 5. Remove foil and bake another 20 minutes or until the top is browned to your liking. 6. 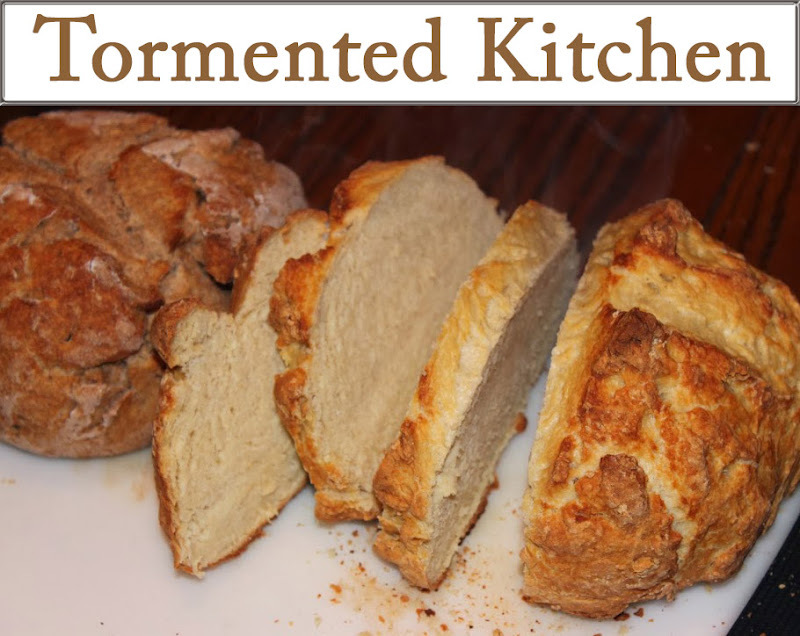 Serve with my favorite sides cornbread with honey butter and succotash! Thanks for stopping by! See you again next time!